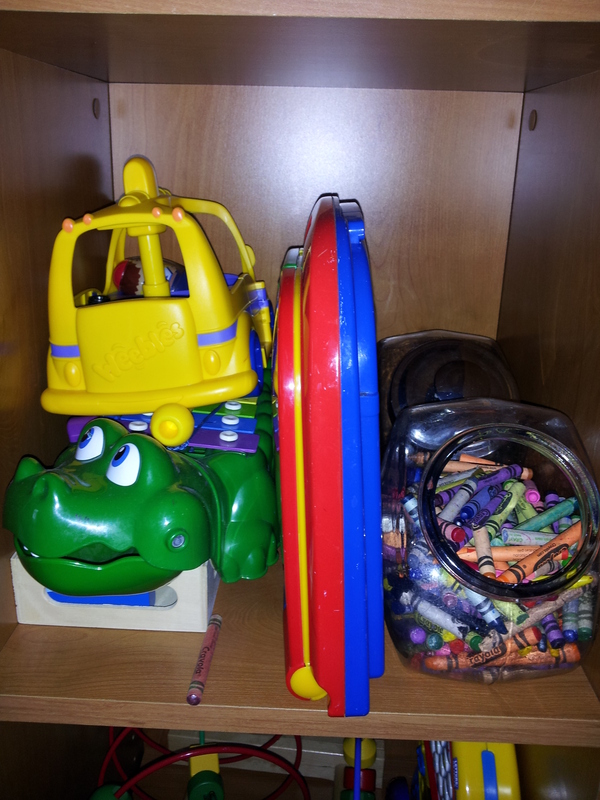 Little toys and crayons seem to be easily spread throughout the house. It always seems in the middle of the night my barefoot feet find them on the dark living room floor. OUCH! Crayon boxes in my house fall apart or get ripped. Is it just me or are the boxes just as problematic as the actual crayons? 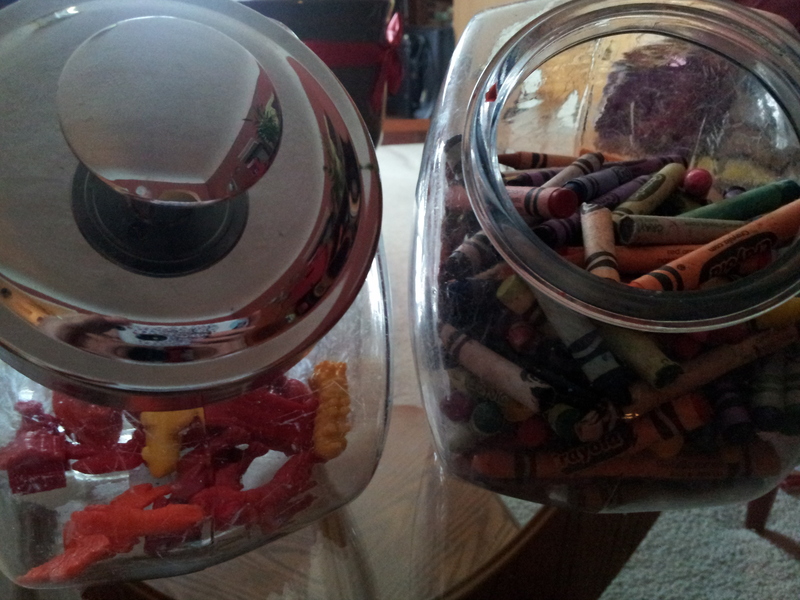 Well, here is my solution for small toys, hair ties, crayons or any small items you want to keep together. I went to Target and found these glass jars. Target has a wide variety of sizes and shapes for decent prices. There were plastic ones too if you have problems with your kids breaking glass. I picked out ones that had a wide mouth to them so the kids could easily get their hands into the jars without getting stuck. I also looked for jars that stored easily on my shelves. 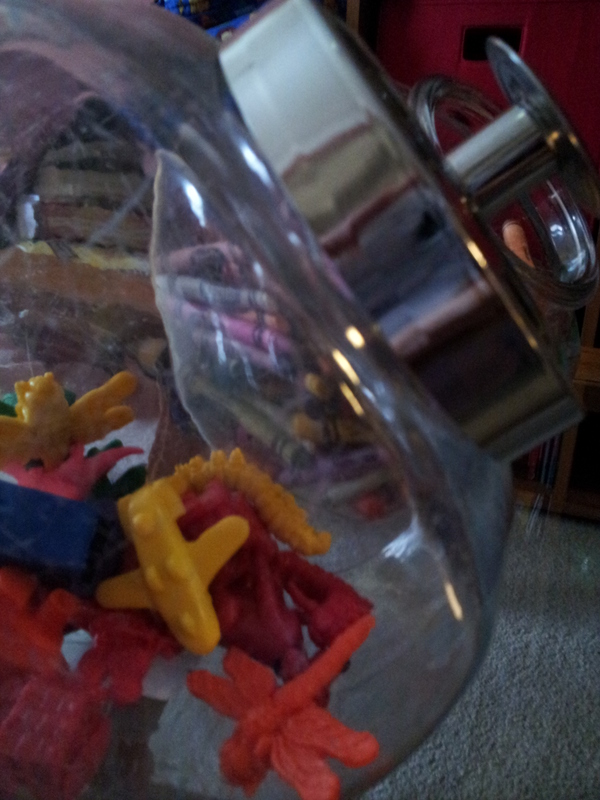 In the picture below you can see that two of these jars fit on one shelf next to other toys. It helps make everything look a bit neater! Not only do these jars keep the items contained when not in use but it also helps with clean-up since the kids know right where to put their items. What do think? Do you use jars to store or save items? If so, what do you store in yours?